Receiving an inheritance can cause a mix of emotions, and depending on the amount of assets, could have a significant impact on your lifestyle. While it may be tempting to withdraw the money, it’s important to step back and take the time to understand the financial implications of your decisions. In this article, we will take a closer look at inherited IRAs and some strategies for investing the assets to minimize taxes and maximize risk-adjusted returns. Individual retirement accounts, or IRAs, are a great way to save for retirement. There are low minimum requirements and you can avoid paying taxes now (Traditional IRA) or in the future (Roth IRA), depending on your tax and investment goals. 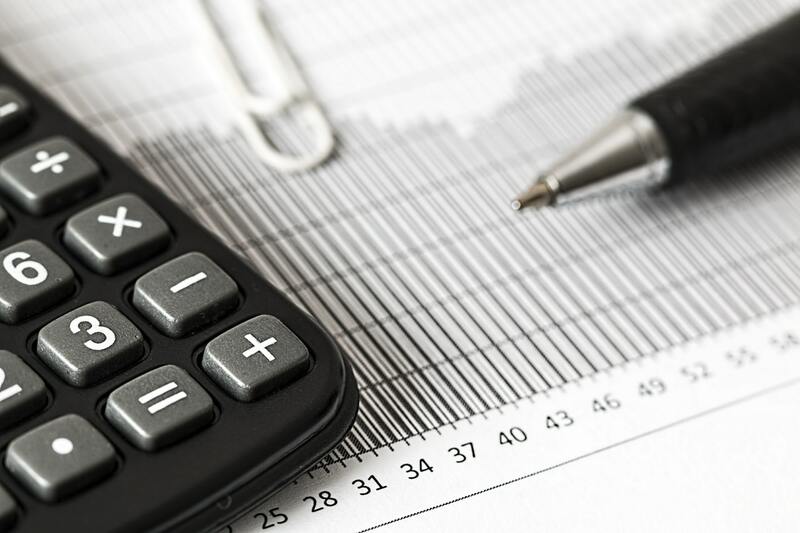 In some cases, you can avoid tens or hundreds of thousands of dollars of tax liability over the long-term by paying taxes upfront and letting your capital compound tax-free over time. If you still have assets when you pass away, you can tax-efficiently pass along the assets to your heirs with inherited IRAs. Inherited IRAs can be opened by heirs—such as a spouse, relative, or even an estate—to hold the assets of an eligible IRA—including traditional, Roth, rollover, SEP, and SIMPLE IRAs—when the original owner passes away. It’s a great way to pass on wealth to future generations. The Internal Revenue Service, or IRS, provides extensive guidelines for inherited IRAs and requires heirs to file Forms 1099-R and 5498. 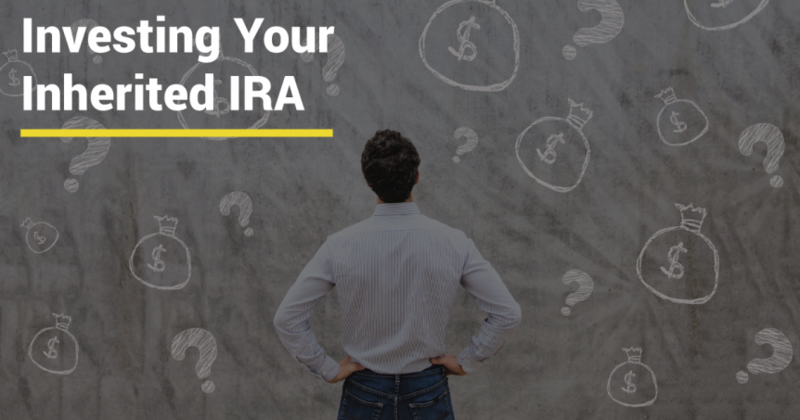 Since the tax laws surrounding inherited IRAs can be complex, it’s usually a good idea to consult a financial advisor or tax professional when inheriting these assets to avoid any costly missteps. Beneficiaries of inherited IRAs are usually required to start taking required minimum distributions, or RMDs, by December 31st of the year after the original owner’s death. If you don’t take the RMD from the account, you may have to pay a penalty equal to 50 percent of the amount that should have been withdrawn—so, it’s important to remember to take RMDs on time! The only exception is the five-year rule: If the original account owner died before age 70 1/2, you may elect to follow the five-year rule and withdraw all of the funds at any point over the next five years. You don’t have to take any immediate distributions and you won’t owe any RMD penalties, as long as the account is depleted within the five-year timeframe. Spouses may roll the inherited IRA assets into their own IRA or transfer the assets to an inherited IRA. Usually, rolling over the assets into their own IRA is the best way to delay distributions, simplify recordkeeping and avoid paying taxes. 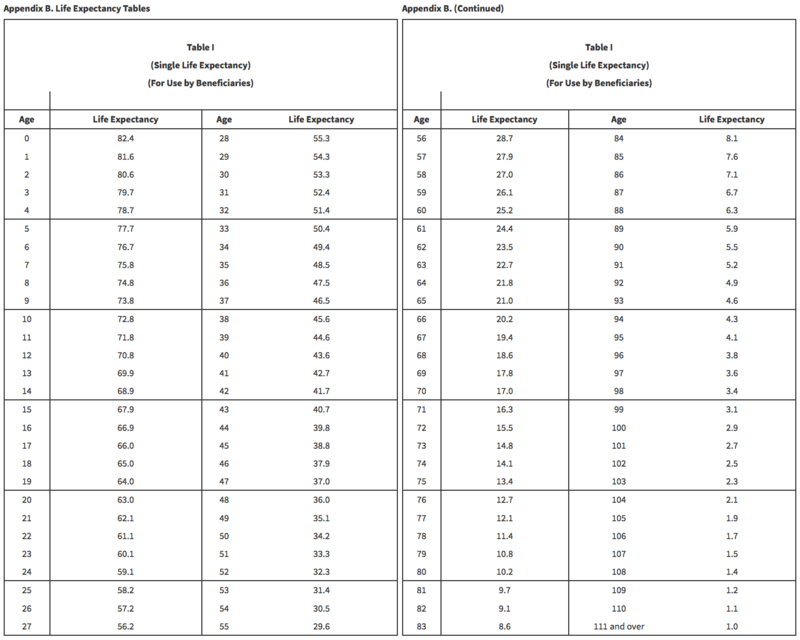 Non-spouses must directly roll over the inherited assets into an Inherited IRA in their own name and use their own IRS Single Life Expectancy Table to calculate RMD amounts (see table below). Trusts or other entities follow the same rules as non-spouses in most cases, with the exception of a look-through trust, where the beneficiary may be able to take RMDs based on the birth date of the oldest beneficiary. In most cases, naming a trust or your estate as an IRA beneficiary is a BAD idea. 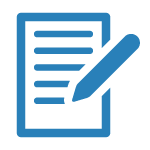 You have the option to withdraw all of the capital in an inherited IRA immediately, take only the required minimum distributions, or withdraw any amount in between. Larger Tax Bill – You must pay ordinary income taxes on any withdrawals, so larger withdrawals will inevitably put you in a higher tax bracket. By taking just the RMDs, you can minimize your tax bracket and your total taxes paid. Less Time to Compound – You lose out on compounding interest by withdrawing these assets in cash. Even if you reinvest that cash, you miss out on the potential for tax-deferred growth from the original value. The only exception to these recommendations would be if you have a large amount of tax credits or deductions, and want to pay down high-interest debt before investing for retirement or realize the gains at a lower tax rate (and reinvest). You have the option to pursue any investment strategy that you would with a typical IRA if you keep the assets invested in an inherited IRA. The only difference is that you need to plan for required minimum distributions and adjust asset allocations—or the percent of stocks vs. bonds vs. cash in your portfolio—based on your age, investment goals, and risk tolerance. How long is your investment timeline? When do you plan on needing or spending the money? If that may happen in the short-term like 1-2 years, you should invest in less volatile assets to ensure that you have money when you need it. But if you have a longer timeframe, you should invest in more aggressive assets since they have higher long-term returns. How much risk are you willing to take? If you have sufficient assets to fund your retirement, you may be willing to take on greater risk with inherited IRA assets. But if you have few assets, you may want to stick with less risky investments to ensure that you have enough in retirement. Do you need to generate an income? If you’re in retirement, you may be more interested in income investments, such as bonds or covered call option strategies. Just like other investment accounts, you can set up an inherited IRA to make automatic monthly distributions each month. How much will you need to take out? One thing is for sure, you are required to take out money every year. By investing in an income-focused investment, you reduce the chances of the negative effects of reverse compounding and selling an asset at a loss. Learn more about the benefits of cash flow over capital appreciation here. Based on the answers to these questions, you can adjust your portfolio’s asset allocations to match your investment goals and risk tolerance to maximize your retirement income. It’s a good idea to speak with a financial advisor and tax professional about these issues before making a decision. Most IRA beneficiaries should strongly consider continuing to invest their funds by rolling any IRA assets over into an inherited IRA. This will minimize tax exposure and maximize the benefits of compounding over time. By doing the opposite and immediately withdrawing the funds, you will create a big tax bill. It also becomes very tempting to spend the money. Remember, this is money the original owner worked hard for and invested wisely for the benefits of themselves and possibly their heirs. After rolling it over into an inherited IRA it’s important to plan for required minimum distributions and adjust the investments based on your age, investment goals, and risk tolerance to ensure a smooth retirement. If you’re interested in a do-it-yourself approach to investing and need to find a way to generate regular income to fund your annual RMD, you may want to consider the Snider Investment Method as a way to earn a portfolio paycheck without fixed income investments. You can learn more by taking our free three-part online income investment course. Are you ready to manage your own portfolio? These questions will give you insight into the answer. Subscribe to download this resource.